Newly reelected Republican leader Kevin McCarthy pledged that his party would work to recruit more diverse candidates in the next election cycle, on the heels of midterms that saw more women and minorities than ever elected to Congress, almost entirely from the Democratic Party. McCarthy (R-Calif.) also acknowledged in an interview on “CBS This Morning” that the party could improve its overall standing with women after college-educated, suburban women proved to be a decisive bloc in putting Democrats back in control of the House. But the current House majority leader, who will be the minority leader when the new Congress is sworn in next year, said President Donald Trump’s rhetoric was not to blame. 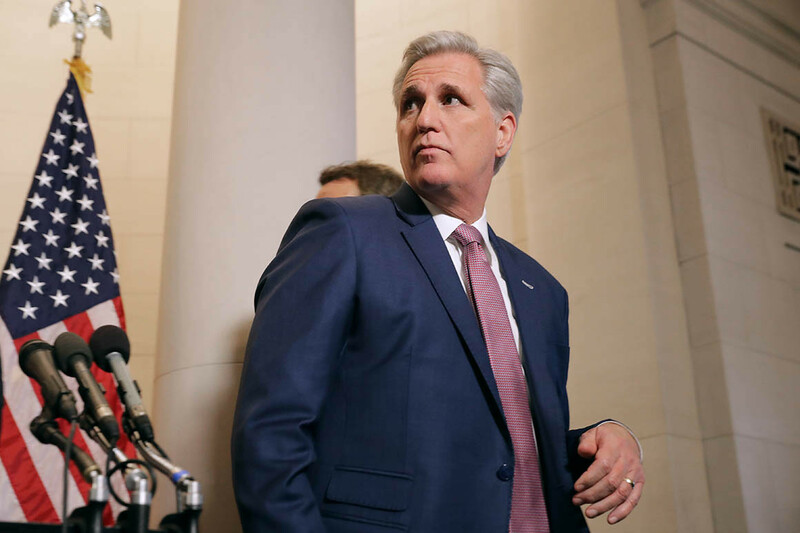 “We have a lot of room to grow,” McCarthy said, but he argued that “we don’t have a problem per se just with women,” noting the historical trend of a sitting president’s party losing seats in midterm elections as well as the record number of GOP retirements in the House this year. The GOP leader also pointed out that a handful of female House Republicans ran for higher office this year. “We have room for improvement. If you look at, in the Democratic primaries where there was an open seat and it was a woman versus a man, a woman won 69 percent of the time. So of course they had more women coming forward. We can do better in recruitment and that’s what I’m excited about doing,” he said. Among called House races, Republicans only elected one new female House member, Rep.-elect Carol Miller (R-W.Va.), compared to 34 for Democrats. Flyers circulated at the Capitol for new member orientation this week shows the stark contrast between the diversity of incoming Democratic House members and the class of GOP newcomers, who are overwhelmingly white and male. McCarthy on Thursday said that Republicans had diverse candidates who were defeated in the midterms and offered up two newly elected military veterans, both white males, as a show of diversity in Republicans’ incoming class. “We’re diverse but we can continue to expand and improve,” he said.